I read two posts today about the film, which chronicles the atrocities that landed West Philadelphia abortionist Kermit Gosnell in jail, sentenced to three consecutive life sentences. Gosnell, a martyr in his own mind, was convicted of murdering three babies that he’d deliberately delivered alive and then slit their spinal cords. Had Gosnell not so thoroughly trashed his records, prosecutors believe they would have been able to charge him with hundreds of murders. For those unmoved by the slaughter of huge babies, know that two women also died in Gosnell’s Women’s Medical Society. The National Catholic Reporter is not exactly a hotbed of pro-life sentiment. On the theory better late than never, I was pleased to read Sr. Rose Pacatte’s review, “Gosnell film shines light on abortion’s inequities, horrors” that ran yesterday. It was not until one of their own — Kirsten Powers — trashed them for avoiding what ought to be Page One news that some media outlets came to the trial. Whether a film should have been made or not is for the audience to determine. It is hard to watch because it is disgusting and heart-breaking, too, when you realize how many defenseless tiny human beings must have suffered and they are stored as trash. As the final credits roll, actual police crime scene photographs appear that match scenes in the film. Rather the importance of the review is that the NCR is a “liberal” publication and that readers who foolishly might never come to National Right to Life News Today will peruse an analysis that appeared in NCR. The other post was written by co-producer Phelim McAleer and appeared today at Town Hall. The Gosnell film surpassed box office expectations by entering the Top 10 grossing films – with revenue of $1,235,000 on just 668 screens – on the opening weekend. Further, the film is growing in buzz in the media rather than declining. Yet despite the solid performance for an independent film of this sort, nearly 200 theaters have inexplicably dropped the film – including those in major cities where it was performing the strongest. Coming into its second week, Gosnell has dropped from 668 theaters to 480 theaters — a full 188-theater drop, 15 of which were top-performing multiplexes. [T]he Gosnell movie shines a very negative spotlight on the horrors of abortion –and the entertainment industry cannot take it. Their response? Simply drop Gosnell from theaters. This is content that the world should be allowed to see. These are topics that those on social media should have the ability to think about. And yet Facebook, NPR, and the many liberal news outlets who refuse to cover Gosnell are making an explicit statement that they want to completely hide Gosnell from the public. 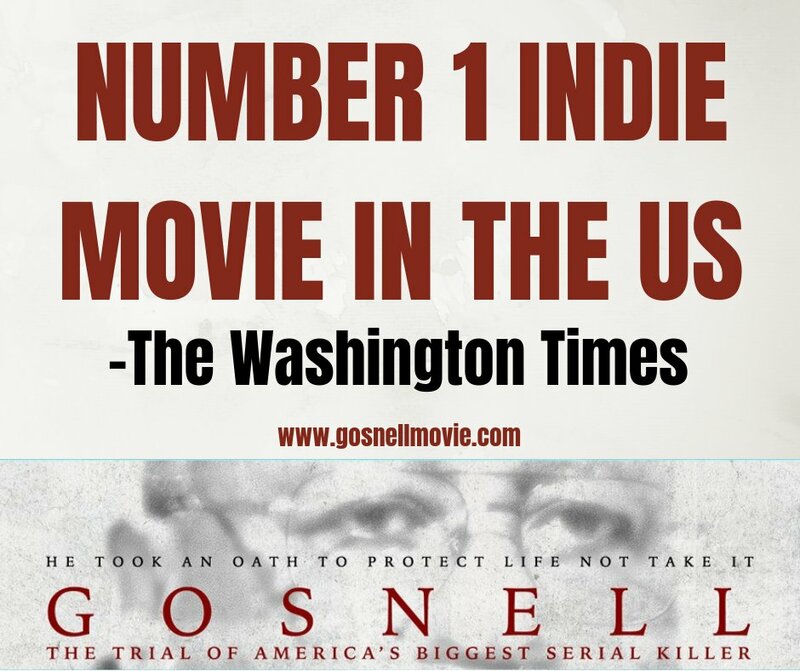 All the more reason, then, for Americans to assert their independence and get out to theaters to see Gosnell – see the momentous film made by some indie filmmakers on a tight budget – made because they knew the desperate significance of the Gosnell trial.